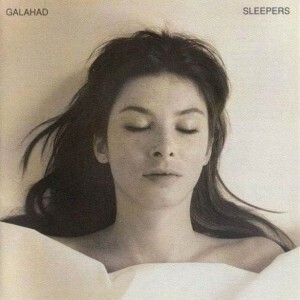 The English quintet Galahad was founded in the mid 80’s, and as such celebrates it’s 30th anniversary in 2015, while at the same time commemorating 20th birthday of their album Sleepers. A remaster of this album, which is considered an underrated gem amongst neo prog fans, was released in 2015 for this purpose. On the album, Galahad certainly shares sound elements with the likes of Marillion and IQ. The fact that singer Stuart Nicholson manages to sound like Fish and Peter Nicholls at times, may have something to do with that – something that has been brought up many times. It certainly isn’t a bad thing, let that be clear. On other tracks, like Sleepers and Exorcising Demons, the music is more comparible to the likes of Genesis and Marillion – influences that are nowadays also still very much present in the works of Tiger Moth Tales. Exorcising Demons reminds me of Marillion’s The Web in terms of atmosphere. The song Amaranth deserves mention as well – it brings rock with a beat, and has a very bombastic keyboard section in the instrumental mid section. Looking at the complete picture, I like this album for what it is. It is a milestone in the career of Galahad and might have deserved more attention when first released, and certainly over time. At the same time, it’s not one that I would play every day – it may not be a blind buy to everyone.